Toking up may help marijuana users to stay slim and lower their risk of developing diabetes, according to the latest study, which suggests that cannabis compounds may help in controlling blood sugar. Although marijuana has a well-deserved reputation for increasing appetite via what stoners call “the munchies,” the new research, which was published in the American Journal of Medicine, is not the first to find that the drug has a two-faced relationship to weight. Three prior studies have shown that marijuana users are less likely to be obese, have a lower risk for diabetes and have lower body-mass-index measurements. And these trends occurred despite the fact that they seemed to take in more calories. Researchers don’t yet know how to explain these correlations — and since the study was not a controlled trial, it’s not clear whether marijuana or some other factor in marijuana users’ lifestyles actually accounted for the beneficial effects. Studies showed, however, that the cannabinoid brain receptors affected by marijuana are deeply involved in appetite and metabolism. But the exact details of how the compound alters the relationship between appetite, caloric intake and insulin response isn’t obvious yet. One clue, however, may lie in the effects of a diet drug that was developed to have the opposite effect that marijuana has on the brain. That drug, rimonabant, produced significant weight loss and a drop in fasting insulin levels by affecting certain cannabinoid receptors in the exact opposite way that THC, marijuana’s main psychoactive ingredient, does. This action is complex: rimonabant doesn’t simply block the receptor and keep the natural cannabinoids from activating it. Instead, while the natural cannabinoids elevate the normal level of activity already going on in the system, rimonabant lowers it so the result is precisely the reverse of activating the receptor naturally. However, because of psychiatric side effects like increasing suicide risk, rimonabant was pulled from the European market and never approved in the U.S.
How could both marijuana and a compound that has the opposite effect of pot act on the same brain receptors and lead to weight loss? Natural marijuana includes many different potentially active compounds, and one of them — rather than THC — could be responsible for this effect. One potential candidate is a substance called cannabidiol, which also affects cannabinoid receptors, but in a different way from the way THC or rimonabant does. Another possibility involves tolerance: repeated use of a drug can make receptors less sensitive over time. “The most likely explanation is that prolonged cannabis use causes the [receptors] to lose sensitivity and become inactive,” says Daniele Piomelli, a professor of pharmacology at the University of California, Irvine, who was not associated with the new research. “This has been shown to happen in people who smoke marijuana. This weakening of [these receptors] translates into a lower risk for obesity and diabetes because the inactive receptor would be unable to respond to our own cannabis-like molecules, which we know are important in keeping us chubby.” While marijuana may initially promote appetite and overeating, in the long run it has the opposite effect because it desensitizes cannabinoid receptors and may even protect against obesity. So don’t skip the gym and break out the bong just yet: there’s still not enough data to tell whether marijuana, like alcohol, could have health benefits in moderation. Mittleman says the study relied on self-reported use of marijuana, which can be unreliable. However, he points out that since people are more likely to hide drug use than they are to falsely claim it, the findings could even underestimate marijuana’s effects. But whether that’s true, and whether marijuana might be a window into understanding how to best control glucose and insulin to prevent diabetes, isn’t known yet. “It is much too early to say,” says Mittleman, “We need much more research to better understand the biologic responses to marijuana use. We really need more research to allow physicians and patients to make decisions based on solid evidence.” An editorial that accompanied the study also urged government action to reduce barriers to such research. Even with 18 states now approving marijuana for medical uses, the politics of pot will always overshadow research efforts to understand how cannabinoids work in the brain — or affect disease. But, as Piomelli says, “the [new] study suggests that smoking marijuana [may] protect people against obesity and diabetes.” And following up on that finding could yield new insights into how to tackle one of our biggest public-health issues. — YOU CAN COME BUY IT, BUT YOU CAN'T TAKE IT HOME: Visitors to Colorado will have purchasing limits of a quarter-ounce of marijuana in a single transaction. The law doesn't ban adults over 21 from possessing a full ounce, residents or not. But the purchasing limits were seen as an effort to reduce interstate trafficking and help persuade the federal government not to crack down on recreational sales. — THE POT BUSINESS ISN'T OPEN FOR BUSINESS, YET: Colorado's marijuana industry will for the first few months be limited to people already licensed to sell or produce medical marijuana. Even once the grandfathering period expires, licensees will need to be Colorado residents for two years, and investors will face residency requirements, too. The residency requirements were added to try to prevent Colorado from becoming a production ground for criminal drug cartels. — THE CAMERAS BETTER BE ROLLING WHEN YOU GROW IT: Colorado tried and failed to establish constant video surveillance of medical marijuana, establishing a seed-to-sale tracking system to keep the industry honest. The vaunted system hasn't worked out as expected because of a lack of money, but the agency that oversees pot says it has learned its lesson and will have the money to follow through with seed-to-sale tracking next year. — NOT EVERY TOWN WILL SELL IT: Colorado's marijuana framework gives local and county governments broad power to ban retail pot sales if they wish, though home growing will be allowed statewide. Legalization backers say the next Colorado political battle to watch will be which communities ban pot shops, prompting the possibility that marijuana sales will be largely concentrated in big cities that currently allow retail medical marijuana shops. — MARIJUANA CLUBS AREN'T SAFE: Entrepreneurs in Colorado have been testing the new marijuana law in recent months by opening private clubs that allow communal pot smoking, but no sales, for a membership fee. The legislation tries to crack down on the spread of such cannabis clubs by stating that they're not exempt from clean indoor air laws, unlike membership cigar clubs. — KIDS GET NEW PROTECTIONS: Colorado's new laws aim to prevent youth marijuana use as much as possible. The laws create a new crime of sharing marijuana with someone under 21, an analogy to current delinquency laws and alcohol. The laws also mandate child-proof packaging for marijuana sales, and bans types of marketing thought to appeal to kids, such as cartoon characters in advertisements and packaging. The new 10 percent marijuana sales tax will be used in part on educational campaigns telling people under 21 to avoid the drug. — DON'T SMOKE AND DRIVE: After years of debate, Colorado now has as blood-level limit for marijuana and drivers. The law says that juries can presume drivers are too stoned to drive if their blood contains more than 5 nanograms per milliliter of THC, marijuana's psychoactive ingredient. Washington state adopted the same driving standard on the ballot last year, but Colorado left the question to the state Legislature. Minister of Foreign Affairs Winston Dookeran said yesterday Government should find a way to decriminalise the use of drugs like marijuana. “We should find ways and means to decriminalise the operation and the use of drugs,” he said during a signing ceremony on agreements between Trinidad and Tobago and Guatemala. The conversation during the ceremony turned when Guatemalan Minister of Foreign Affairs, Luis Fernando Carrera Castro, raised the concept of decriminalisation as a type of policy reform with the hope it would curb the organised crime system that has been built up around global drug trades. That new approach would treat recreational or experimental drug use in a manner more similar to how the tobacco industry was currently treated. 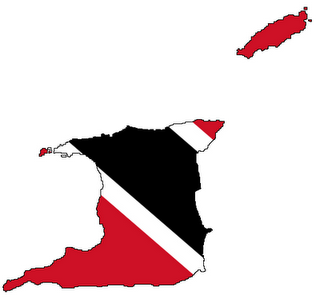 Although Dookeran was careful not to specify whether T&T would be putting measures in place to legalise any forms of narcotics, such as marijuana, he did endorse the OAS declaration and said the T&T Government would “try to translate those policies into action by the relevant bodies. “I think the concept was to decriminalise as opposed to legalising it,” Dookeran said. Castro pointed out Uruguay’s recent bill to legalise the production and the sale and consumption of marijuana, which was passed on July 31 in the lower house of congress. The bill will make Uruguay the world’s first nation to create a legal marijuana market, he said. “We’re encouraged by this,” said Castro, who highlighted the need for a multi-lateral approach to the problem, with an international agreement on policy instead of single countries changing their laws. He referred to the problem as being “a human issue.” “We believe that in the long term, recreational consumption of drugs will continue to exist but we can regulate the market and we can control it so that organised crime does not take our young people,” he said. I often wonder if it wouldn't be more effective to legalise all illicit drugs. The billions of dollars spent so far on law enforcement and incarceration of drug offenders has done little to stem the tide, if anything it's gotten worse. Jail is more of a convention where criminals can make develop contacts in the drug underworld not punishment and many prisons are practically run by the criminals thmeselves. Legalising drugs will put the money into corporate hands and put drug dealers out of business. Some of the billions of public money saved could instead be used to develop and fund a network of community centers to counsel those with addictive personalities that abuse drugs. think about the accident rate??? think about the children being left out because dad was high??? think about the amount ah people losing jobs because they cyar function high??? think about the workers output when ah man too high to remember??? think about the doctor who smoke a spliff b4 operating on yuh wife??? think about the pilot who feeling stressed??? True....but all this is already happening in this current system where it is illegal. The legality or illegality of the plant or substance has almost no effect on usage. All those things are judgement calls on the part of the individual. Most, if not all of those things you have mentioned fall under the topic of "operating under the influence", whether it be rum, herb, prescription drugs, coke, crack, meth, X, lack of sleep etc. They already have applicable laws to deal with it. I eh tink it have anyting to do with de decriminalization/legalization of herb. The country of Portugal also has a very enlightened approach, by decriminalizing the possession of ALL drugs. They became the first European nation to abolish all criminal penalties for personal drug possession back in 2001...though if caught with drugs, instead of jail-time, one is instead replaced with an offer of therapy. As far as I'm aware, the person can refuse the offer of therapy, and simply go about their lives as they see fit. Anyway, I'm not too certain how Portugal treats people who intend on distributing, though. Maybe someone here can shed some light on that. Don't tweet about your weed need. Florida is one step closer to getting a statewide public vote on legalizing medical marijuana. With powerful backers like Orlando super-lawyer John Morgan and funding from big Democrats around the state, the push by People United for Medical Marijuana is blazing ahead. The group announced yesterday that it's already gathered 100,000 signatures, enough to start a Supreme Court review of its proposed language for the vote. "I am pleased to announce that we have already collected over 100,000 petitions since we started our drive less than a month ago," the group's campaign manager, Ben Pollara, wrote in a release. "This allows us to submit the petition to the Florida Supreme Court for their review of the ballot language." While the Court looks at the language to rule whether it's misleading or too broadly worded, Pollara's group will temporarily stop its paid petition-gathering drive, which the campaign manager tells the Miami Herald costs $150,000 a week. To get a constitutional amendment on the ballot, Pollara's team needs to collect 683,149 valid signatures by Feb. 1. The initiative would then need 60 percent approval from the public. As Marc Caputo reports this morning, that's not impossible: Polls have shown that upwards of 70 percent of voters could back legalized medical pot. Pollara has asked for an expedited review from the Supreme Court so his teams can get back to signature collection quickly. Reefer common sense is taking over Miami Beach. When voters go to the polls in November to elect a new mayor, they will also get the chance to answer a non-binding straw ballot question on whether the city commission should adopt a resolution urging the federal government and the Florida Legislature to decriminalize and approve the medicinal use of marijuana in the Sunshine State. The Miami Beach City Commission quietly approved the straw ballot language in July as a compromise with a pro-pot organization that had collected more than 8,000 signatures from voters in support of a measure to remove criminal penalties for anyone caught with small amounts of weed. "There was a a ton of work, time, and effort that was put into Miami Beach, and something needed to happen with relation to its marijuana policy," says Eric Stevens, one of the organizers behind Sensible Florida, the group that collected the signatures. "It may not be 100 percent of what we were asking for, but it is a great start, and it will give everyone who cares about this issue in Miami Beach a feel for what the electorate wants done regarding marijuana." The Miami Beach straw ballot question comes at a time when it seems the medical marijuana movement in Florida is gaining momentum. On Thursday, People United for Medical Marijuana, or PUFMM, announced they had collected 110,000 signatures to get a proposed medical marijuana constitutional amendment on the 2014 statewide ballot -- enough to trigger a Florida Supreme Court review of the initiative's language. The group needs to collect a total of 683,149 verified voter signatures needed by Feb. 1 to get the measure on the 2014 November ballot. If it does, then 60 percent of Florida voters would need approve the amendment in order for it to be adopted. Currently 20 states in the union have legalized medical marijuana in some form. Washington and Colorado became the first states to outright legalize pot for recreational use. However, the federal government continues to enforce marijuana prohibition laws in states that have legalized weed. The Miami Beach petition drive began in 2010, seeking to stop arresting individuals for possession of small amounts of marijuana. Instead, pot smokers would get hit with civil fines. Several states and cities around the country have passed similar local laws. With support from Miami Beach documentary film production company Rakontur, and real estate developer Todd Glaser, Sensible Florida's volunteers collected more than 8,000 signatures. But Sensible Florida had to sue the city because Miami Beach officials kept delaying putting the measure on a ballot. Stevens says the city attorney's office proposed the straw ballot as a compromise. On July 19, the city commission approved the ballot language with Mayor Matti Bower being the only dissenting vote. Marijuana smokers now have a new place to put on their bucket lists: Alaska, which on Tuesday became the third state to officially OK marijuana use. Following Colorado's lead, voters passed the Alaska Marijuana Legalization ballot measure in November. Legalization became official on Tuesday, which means that now "the use of marijuana (is) legal for persons 21 years of age or older." There are limits to this law, as there are in similar ones in other states. People still can't legally have more than 1 ounce of marijuana on them. Nor can they harvest more than 4 ounces in their home. And consuming marijuana in public and driving while high are no-nos. Then there's the fact that the law isn't fully implemented yet. The regulatory structure allowing for entrepreneurs to set up shops like those found in Colorado is still in the works, so right now no one can legally make a living selling the drug. Not to mention that, under federal law, marijuana is classified as a Schedule 1 narcotic. That makes its use a federal crime. Still, as in many states, there seems to be movement in Washington on that front. U.S. Attorney General Eric Holder told CNN in October he is "cautiously optimistic" on the subject of marijuana legalization. Holder said the Justice Department is focused on marijuana distribution to minors, interstate trafficking and drug violence, not incarcerating "low level people who are simply there for possessory offenses." In the absence -- some might say in defiance -- of any sweeping federal change on marijuana, some states have taken the initiative. Twenty-three states still prohibit cannabis outright. But the rest of them have either legalized medical marijuana or decriminalized marijuana possession. Colorado became the first to go one step further in legalizing pot, followed by Washington state. And now there's one more in Alaska. Jamaica has decriminalised the possession of small amounts of marijuana for personal use. The country's parliament passed a much-debated law allowing the possession of up to 2oz (57g) of marijuana. It will also allow for a licensing authority to oversee the medical and scientific uses of the plant. Marijuana is widely grown in Jamaica and has cultural roots there - but the decriminalisation drive ran into fears of possible sanction from the US. The island nation is thought to be the biggest Caribbean exporter of marijuana - also known as ganja and cannabis - to the US. Its decision to relax domestic restrictions against marijuana forms part of a broader global trend. Several Latin American countries and US states - most recently Alaska - have decriminalised the drug in recent years. The decriminalisation measures were approved by the Jamaican cabinet last month and by its Senate in early February. Tuesday night's vote in the upper house of parliament means the measures can now be passed into law. The law will also allow Jamaica's Rastafarians to use marijuana for religious purposes. The plant is regarded as sacred by members of the faith, and has been celebrated in the island's reggae music. Jamaica's national security minister, Peter Bunting, said the law does not represent any easing of Jamaica's stance on the international drugs trade, or on the illegal cultivation of the plant. South and Central America and the Caribbean countries have been battling the impact of drug trafficking and drug use for decades. Cocaine and marijuana produced in the region is transported through many countries, their citizens turned into consumers by the trade. But many governments have begun to recognise that heavy-handed tactics and the crackdown on drugs have failed, as trafficking and consumption continue to grow, correspondents say. By Jon Mitchell, The Japan Times. An increasing number of states in the U.S. are easing policies on cannabis prohibition but little discussion has taken place in Japan on the potential benefits of adopting a similar approach. As various locations around the world celebrate annual April 20 marijuana festivals, we examine the country’s historical and cultural links to the much-maligned weed. When Junichi Takayasu was 3 years old, a picture book about ninjas changed his life forever. What fascinated him most, however, wasn’t the assassins’ stealthy skills or secret gadgets but their usage of a very special plant. Understandably, Takayasu’s mother was rather distressed by her son’s aspiration. Japan’s anti-cannabis laws are among the strictest in the world, with possession of even small amounts punished by five-year prison sentences and illicit cultivation earning growers seven years behind bars. However, Takayasu refused to let this put a damper on his dreams. Today, more than 40 years later, he is one of Japan’s leading experts on cannabis and the curator of Taima Hakubutsukan — the nation’s only museum dedicated to the much-maligned weed. Opened in 2001 in the town of Nasu, Tochigi Prefecture, approximately 160 km north of Tokyo, the museum’s mission is to teach people about the history of cannabis in Japan — a past that, Takayasu believes, has been denigrated and forgotten for far too long. It is likely that the variety of cannabis from which these Jomon Period fibers originated was cannabis sativa. Tall-growing and valued for its strong stems, it is from sativa strains that today’s specially bred industrial hemp is derived. In the following centuries, cannabis continued to play a key role in Japan — particularly in Shintoism, the country’s indigenous religion. Cannabis was revered for its cleansing abilities so priests used to wave bundles of its leaves to bless believers and exorcise evil spirits. This significance survives today with the thick ceremonial ropes woven from cannabis fibers that are displayed at shrines. Shinto priests are also known to decorate their wands with strips of the gold-colored rind of cannabis stalks. Cannabis was also important in the lives of ordinary people. According to early 20th-century historian George Foot Moore, Japanese travelers historically used to present small offerings of cannabis leaves at roadside shrines to ensure safe journeys. He also noted how, during the summer Bon festival, families burned bundles of cannabis in their doorways to welcome back the spirits of the dead. Until the mid-20th century, cannabis was cultivated all over Japan, particularly in Tohoku and Hokkaido, and it frequently cropped up in literature. As well as references to cannabis plants in ninja training, they also feature in the “Manyoshu” — Japan’s oldest collection of poems — and the Edo Period (1603-1868) book of woodblock prints, “Wakoku Hyakujo.” In haiku poetry, too, key words describing the stages of cannabis cultivation denoted the season when the poem is set. With cannabis playing such an important material and spiritual role in the lives of Japanese people, one obvious question arises: Did people smoke it? Takayasu, along with other Japanese cannabis experts, isn’t sure. Although historical records make no mention of the practice, some historians have speculated that cannabis may have been the drug of choice for commoners. Whereas rice — and the sake brewed from it — was monopolized by the upper classes, cannabis was grown widely and was freely available. Some scientific studies also suggest high levels of psychoactive tetrahydrocannabinol (THC) in cannabis plants in Japan. According to one survey published by the United Nations Office on Drugs and Crime in 1973, cannabis plants from Tochigi and Hokkaido clocked THC levels of 3.9 percent and 3.4 percent, respectively. As a comparison, the University of Mississippi’s Marijuana Potency Monitoring Project revealed that average THC levels in marijuana seized by U.S. police in the 1970s were only around 1.5 percent. Nor are Japanese people averse to taking advantage of the medicinal benefits of cannabis. Long an ingredient in traditional Chinese medicine, cannabis-based cures were available from Japanese drug stores to treat insomnia and relieve pain in the early 20th century. However, the 1940s — in particular, World War II — marked a major turning point in the story of Japanese cannabis production. Following the country’s defeat in 1945, however, the U.S. authorities occupying Japan brought with them American attitudes toward cannabis. Washington had effectively outlawed cannabis in the United States in 1937 and now it moved to ban it in Japan. In July 1948, with the nation still under U.S. occupation, it passed the Cannabis Control Act — the law that remains the basis of anti-cannabis policy in Japan today. There are a number of different theories as to why the U.S. outlawed cannabis in Japan. Some believe it was based upon a genuine desire to protect Japanese people from the evils of narcotics, while others point out that the U.S. allowed the sale of over-the-counter amphetamines to continue until 1951. Several cannabis experts argue that the ban was instigated by U.S. petrochemical interests in a bid to shut down the Japanese cannabis fiber industry, opening the market to man-made materials such as polyester and nylon. Takayasu locates the cannabis ban within the wider context of U.S. attempts to reduce the power of the Japanese military. Whatever the motivation, the U.S. decision to prohibit cannabis created panic among Japanese farmers. In an effort to calm their fears, Emperor Hirohito visited Tochigi Prefecture in the months prior to the ban to reassure farmers they would be able to continue to grow in defiance of the new law — a surprisingly subversive statement. For several years, the Emperor’s reassurances proved true and cannabis cultivation continued unabated. In 1950, for example, there were approximately 25,000 cannabis farms nationwide. In the following decades, however, this number plummeted. Takayasu attributes this to a slump in demand caused by the popularity of artificial fibers and the costs of the new licenses cannabis farmers were required to possess under the 1948 act. Nowadays, Takayasu said, there are fewer than 60 licensed cannabis farms in Japan — all of which are required to grow strains of cannabis containing minimal levels of THC. With the number of farmers so low, Takayasu fears for the future of cannabis in the country. As far as he knows, there is only one person left in the nation versed in the full cycle of seed-to-loom. That person is 84 years old and when she dies, Takayasu fears, her wisdom will disappear with her. Faced with this danger of extinction, Takayasu is determined to preserve Japanese cannabis culture. He organizes annual tours to the legal farms near his museum to show visitors how space-intensive cannabis cultivation is and how it requires few — if any — agricultural chemicals. 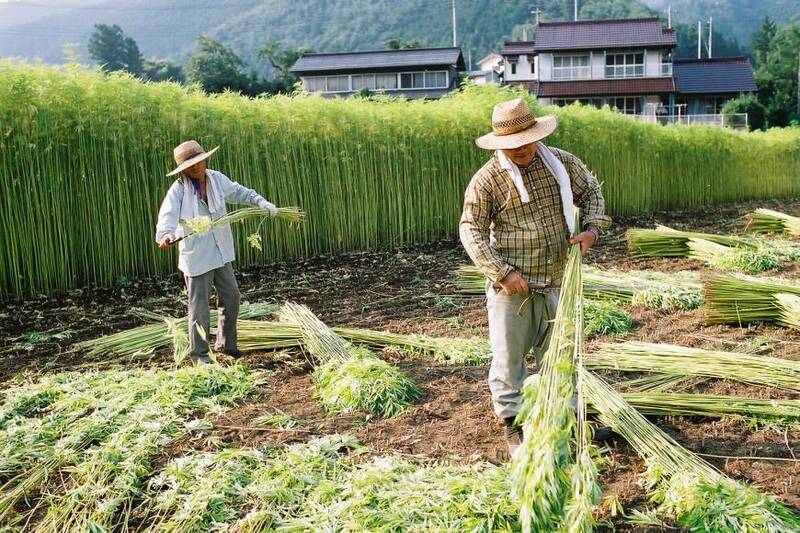 Additionally, Takayasu runs monthly workshops to teach people about weaving cannabis fibers. On display in the museum are a variety of clothes made from cannabis; the soft cream-colored material is warm in winter and cool in summer — perfectly suited to the Japanese climate. Among the museum’s fans are members of the local police department, who praise his efforts to revitalize the rural economy and sometimes visit to learn more about the outlawed weed. All of this is testament to Takayasu’s ongoing enthusiasm for the special plant he first encountered as a 3-year-old boy. Antigua and Barbuda Prime Minister Gaston Browne says the prohibition of cannabis less than 100 years ago was not prompted by altruistic motives or concern for the health or well-being of users, but to serve 'the racist, political and economic interests' of the then global powers. In a message marking International Day of Cannabis, commonly referred to as “420’, Browne, whose government recently announced plans to allow for the use of marijuana for medicinal purposes, said in the Caribbean, the Rastafari Community has championed the many uses of cannabis and have asserted that the herb is utilised as a sacrament in their rituals, celebrations, and worship. “The prohibition and demonisation have led to Rastafari being brutalised and castigated by police and other government authorities, because of the utilisation of the plant Cannabis Sativa,” he said in a recorded message to the Cannabis Movement of St. Lucia which is marking “420” celebration in Antigua n Friday. Browne said that it is in this context, and now that his administration is moving to amend legislation regarding cannabis that “I have issued a ‘genuine’ apology to the Rastafarian Community, and have asserted that Rastafari sacramental or spiritual use be acknowledged”. He urged that the Rastafarian Community “be given a stake in production and benefits to be derived from the medicinal and other uses going forward". “Let us regard this as reparations for Rastafarian, for the wrongs inflicted on this significant minority group in our Countries, through the so-called ‘war on drugs’ which evidently was prompted by pernicious prohibition,’ Browne said in his statement. The Cannabis Movement of St. Lucia said it was pleased with the statement given by Browne, saying he is “the first sitting Caribbean Head of Government who has acknowledged the wrongs against Rastafarian in the Parliament of Antigua and Barbuda and has issued an official apology to the Rastafarian community”. It described his government’s decision to liberalise the cannabis laws as “courageous” adding that it hoped that a comprehensive Cannabis Act that will regulate the use of cannabis in Antigua and Barbuda will be enacted by the end of this year.